How do you know which appliance brands you can rely on? 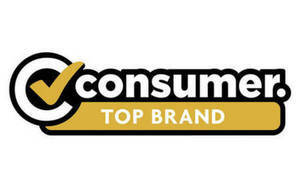 Our Top Brand awards are here to help. Picture yourself in 100% Harvey Leeming City, faced with rows of shiny washing machines. How do you know which washer will give you years of clean laundry, or which will leave you cursing the day you bought a dud? Our Top Brand awards are here to help. See which brands perform strongly across our test, reliability and satisfaction measures. What is a Top Brand award? Top Brand draws on our independent test data, over a decade of reliability and owner satisfaction surveys, and our experience analysing product performance – all to point you to the best brands. An award doesn’t mean every product from that brand will be a star, but you’re more likely to find a winner. We look at popular (and some not-so-popular) brands available at multiple retailers, to get the best bang for our testing buck. But, inevitably, that row of gleaming appliances you’re looking at will include some we haven’t put through the wringer. Testing appliances is also time-consuming, labour-intensive and expensive, which means we’re limited to testing a certain amount each year. Also, test performance isn’t the only measure you should use to choose an appliance. Excellent performance, fault-free reliability and lots of very satisfied owners – the best brands manage all three. Enter our Top Brand award. We place equal weight on our independent lab testing and member surveys of product reliability and owner satisfaction. Test scores are included for all tested models available at the time of analysis. Brand reliability and satisfaction results are taken from our latest member survey. To be included in a Top Brand analysis, a brand must have at least three product test results and more than 30 responses in our member survey. To be awarded Top Brand in a category, the calculated score has to be clearly ahead of other brands and the brand has to perform strongly across all three measures (test, reliability and satisfaction). If two brands cannot be separated, we award a joint Top Brand. For categories with no clear winner, we won’t award Top Brand. Within some categories, product sub-types can score quite differently. For example, induction cooktops outperform gas and ceramic models by 5% on average. We account for this difference in our analysis, so brands making mostly induction cooktops don’t get an unfair advantage. You've seen this year's Top Brand award winners. See which other brands you can rely on in even more product categories.